Mark your calendars, as the next chapter in the Lancer-revving “Gears of War” saga is set to begin on Oct. 11 with the release of “Gears of War 4”. It’s been almost a year since “Gears of War 4” made its global debut at E3 2015, and now is set to ignite a chain of upcoming revelations about what’s in store for JD Fenix and the next generation of “Gears of War” heroes. 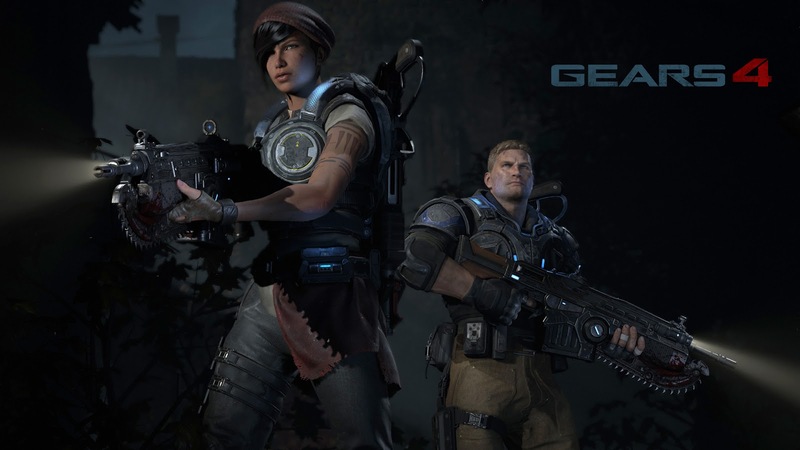 “Gears of War 4” marks the beginning of an epic new saga for one of gaming’s most celebrated franchises, as a new band of heroes rises to confront a fearsome new threat. Harkening back to the dark and intense roots of the original classic, fans can expect a familiar, yet distinct evolution of gameplay, including brutal and intimate action, a heart-pounding campaign, genre-defining multiplayer and stunning visuals powered by Unreal Engine 4. Eager to get a taste of “Gears of War 4” before October? Don’t miss the multiplayer beta kicking off this month! Beginning on April 18, fans who’ve played “Gears of War: Ultimate Edition” on Xbox One or Windows 10 will be able to join the “Gears of War 4” beta on Xbox One, which will expand to all Xbox Live Gold members on April 25. For more information on what to expect from the beta, check out our recent announcement highlighting the full details, and stay tuned to Xbox Wire and GearsofWar.com for more exciting news in the coming weeks and months.